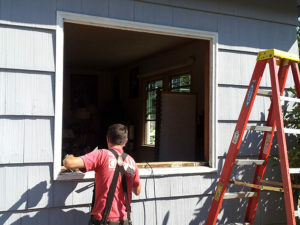 Completing a window replacement project at your home can seem like a daunting task. However, a good plan, the right product and installation crew, and a little patience can make it an enjoyable experience. Knowing what you want to accomplish with the project up front and communicating that at the initial consultation is one of the biggest factors to help ensure a successful project. Do you want to add more ventilation or increase energy efficiency? Are you mostly interested in sound control or are you simply looking to upgrade your home? You may be able to accomplish all of these to some degree with new vinyl or wood windows. Your sales consultant will be able to help you select the right window to accomplish your goals. Today’s windows have evolved to be highly energy efficient while allowing more natural light into a room. Nearly all of them include a lifetime warranty to the original homeowner against fading of the frames and moisture build-up between the panes. You should also ask about rebates available from the Energy Trust that will help save money on the installation cost. Selecting the right company to perform the work may be the most important factor in a successful project. Only use companies registered with the Construction Contractors Board and never allow unlicensed contractors to work on your home. Licensed contractors are required to carry the proper insurance and bonding, and complete continuing education courses to maintain their licenses. Make sure the company has a successful track record in the community and is most likely to be in business in the future if an issue arises or you want some additional work done. Calling an out-of-town 800 number and hoping to get a representative to address an issue after you’ve already paid the bill is a recipe for disaster. Stick with a local company with roots in the community who will go the extra mile to make sure their customers are satisfied for the long term. 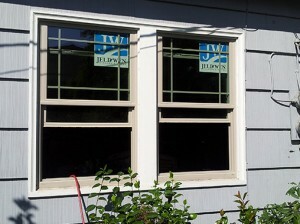 Home improvements projects of any kind can often be noisy and dirty and window replacement is no exception. Alerting your neighbors a few days ahead of the installation and telling them how long you expect the work to take will help them will give them the chance to prepare and secure any of their belongings against noise & dirt. Following these tips will help you accomplish your project without the usual hassle, and will have you enjoying your new windows sooner.